I haven’t been up to much sewing this weekend. The in-laws are over visiting with us, and we’ve had some lovely weather & places to visit with them! But there are a couple of things I want to show you! We recently made a cranky old coffee table redundant in our house, and my eldest said she would have it in her room. 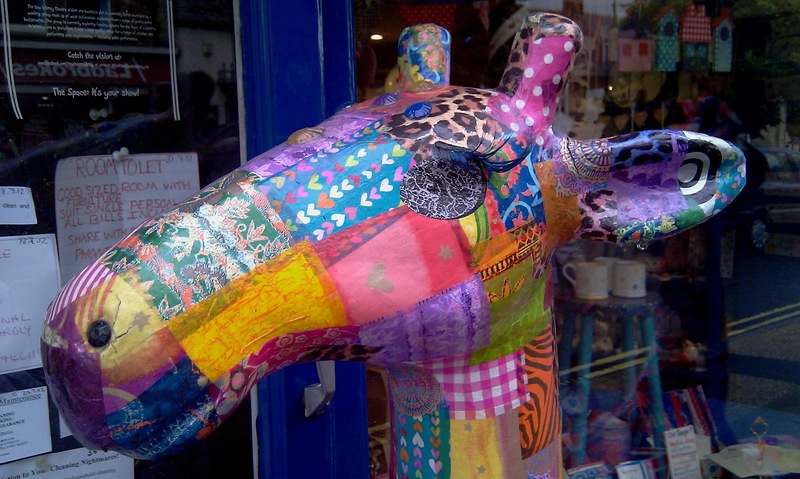 I suggested she give it a decoupage treatment, and this is the result! Some of her old fashion and teen mags where put to good recycling use! 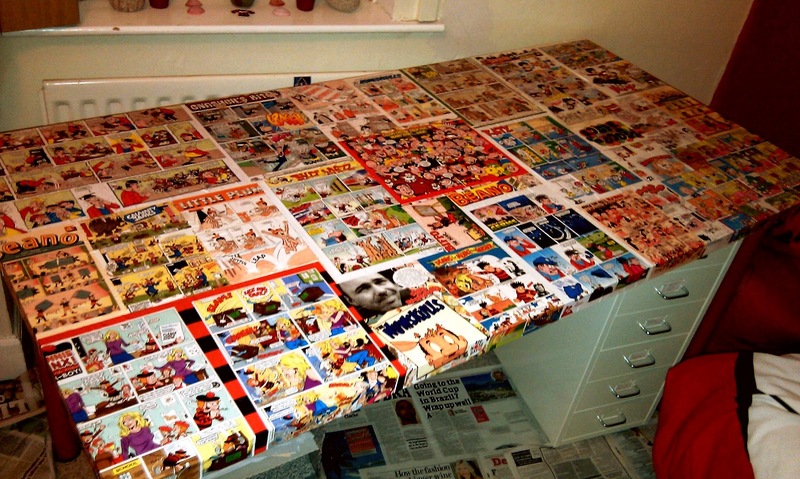 And at the same time, my middle daughter wanted to makeover her plain white Ikea desk using 2 Beano magazines & some PVA glue! She said to me afterwards ‘at least revising won’t be so boring anymore!’. Mmmmm, maybe this wasn’t such a good move afterall! Before I go, I want to send out a wee appeal to all you generous blogging friends on behalf of my friend and new blogger, Ruth (Simply Sew). Ruth is having a go at EPP but as she is in the v.early stages of building up a stash, she would be grateful if you have any small pieces of red fabrics you no longer need. They only need to be 2.5″-3″ square and you can send them to me if that is easier and I’ll happily pass them on. You can read more about Ruth’s request here. Many thanks in advance lovely peeps! Hope you’ve had a brill weekend! Previous Previous post: A Vintage Year! Next Next post: Tis the Season!